oz.Typewriter: Tom Hanks, the Golden Shield Corona Typewriter, Honey Lantree, Anne V and O Lucky Me! 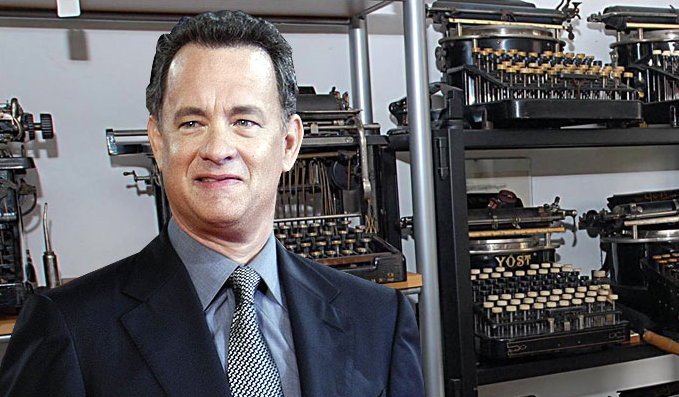 Tom Hanks, the Golden Shield Corona Typewriter, Honey Lantree, Anne V and O Lucky Me! 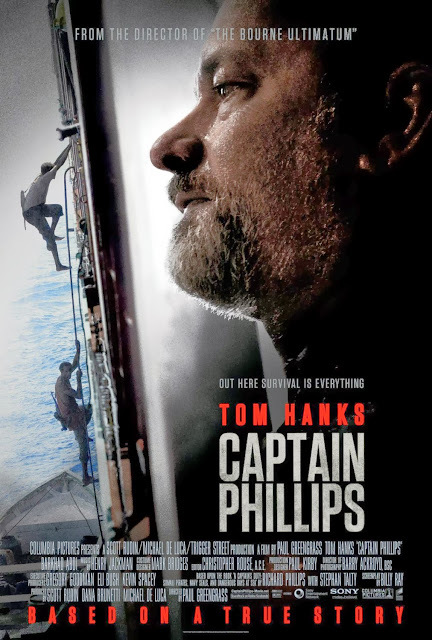 Below: Tom Hanks with the real Captain Richard Phillips. Is there room for another Oscar on these shelves? 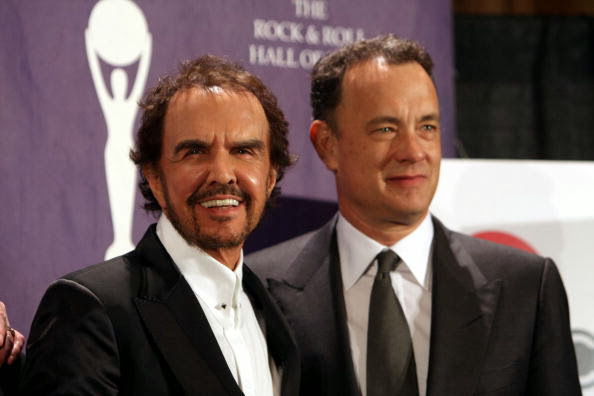 Below: Tom Hanks with Dave Clark at the Rock and Roll Hall of Fame induction ceremony in 2008. 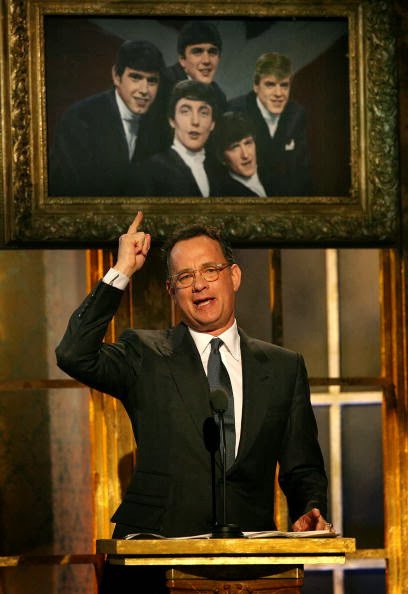 Hanks makes his point at the induction, below a portrait of the Dave Clark Five. Honey Lantree, right, with, from left, Little Millicent Small (My Boy Lollipop, the first ever ska hit). 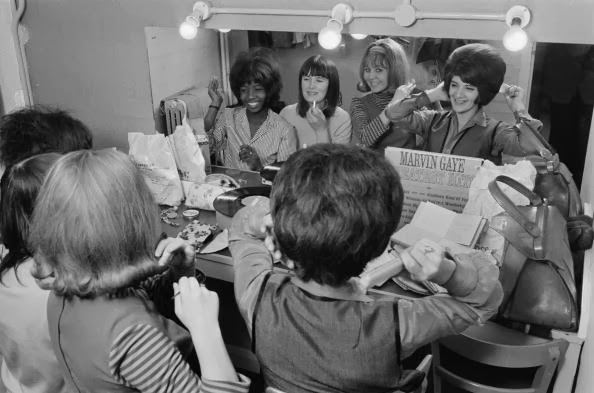 Megan Davies of the Applejacks and Lulu; backstage at the Gaumont in Bradford on October 21, 1964. 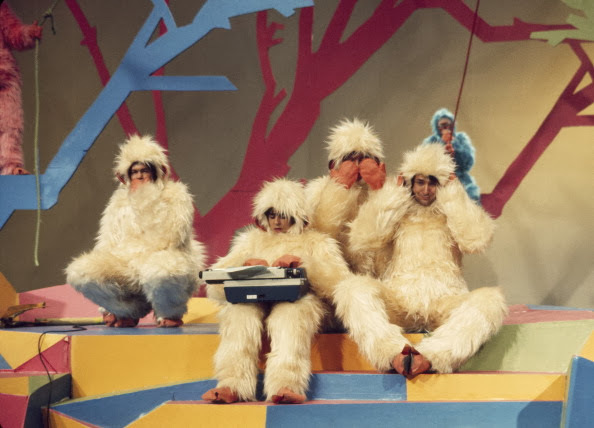 In descending order: The Monkees (from left, Micky Dolenz, Englishman Davy Jones with an Olympia, Peter Tork and Michael Nesmith, whose mother, Bette Nesmith Graham, invented the curse of typewriter collectors, liquid paper, in 1951). The Who singer Roger Daltry in October 1985 with an Adler (?). 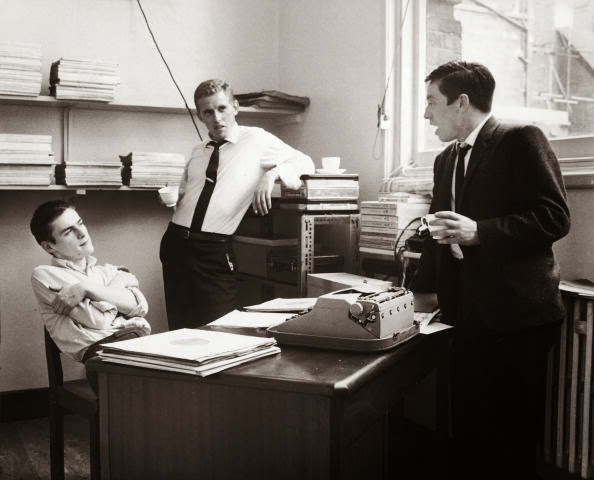 The guy seated in front of a Facit in July 1962 is Tony Meehan, who was once the drummer with The Shadows and later became an executive producer and A&R man. 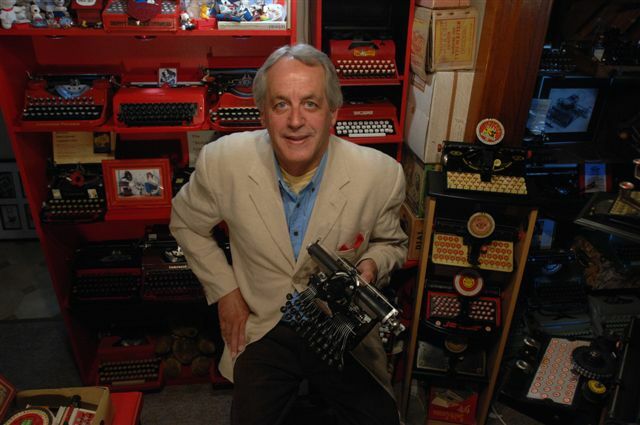 He auditioned The Beatles for Decca, which famously rejected them in favour of Brian Poole and The Tremeloes, having said, "guitar groups are on the way out". 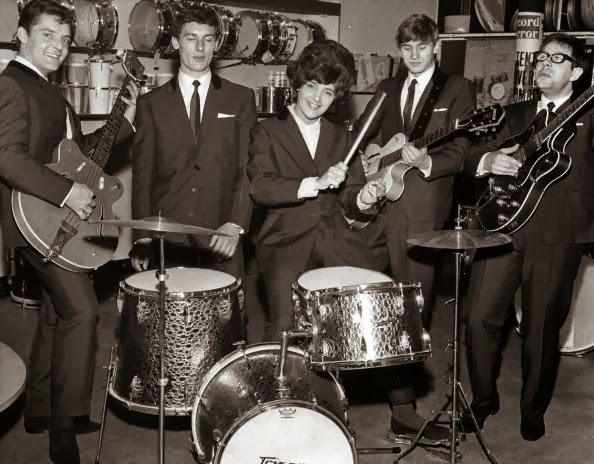 The Hollies, another big British band in 1964. 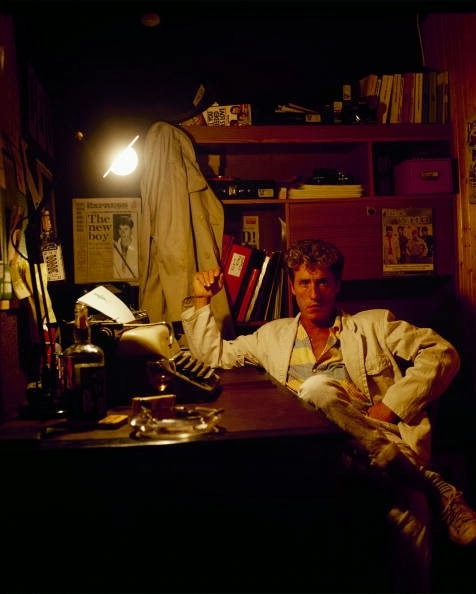 Graham Nash, seated at the Imperial, later became part of Crosby, Stills, Nash & Young. 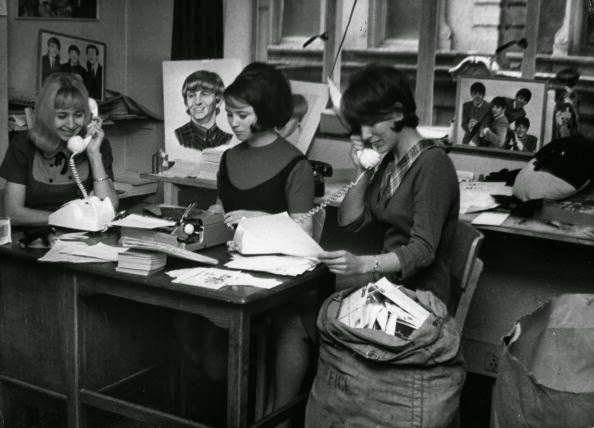 The Beatles Fan Club office workers at an Imperial portable in December 1964. From left, Bettina Rose, Anne Collingham and Monica Stringer. 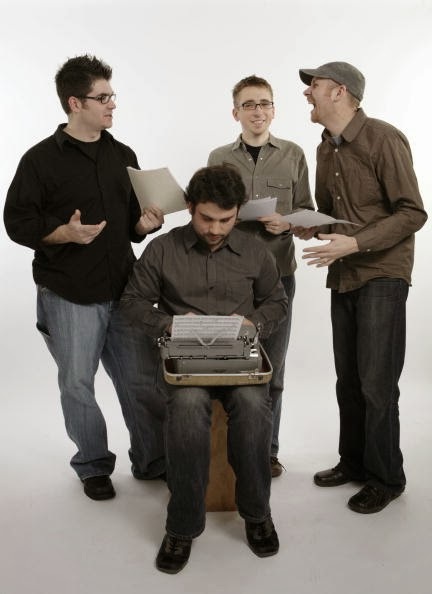 New York quartet Sō Percussion, from left, Josh Quillen, Adam Sliwinski (at a Remington? ), Eric Beach and Jason Treutingis, in 2008. 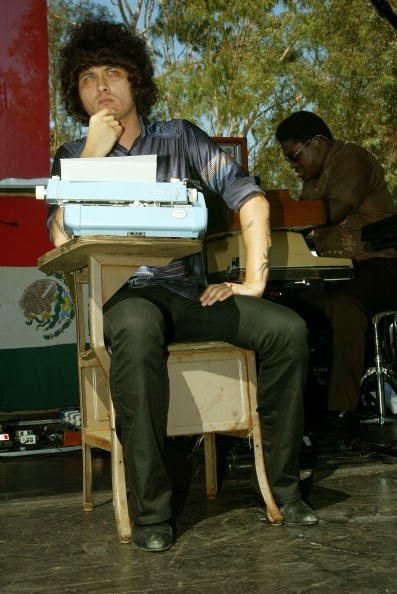 Vocalist Cedric Bixler Zavala of the Mars Volta at his Royal Safari during the KROQ Weenie Roast at the Verizon Wireless Amphitheater in Irvine, California, in May 2005. 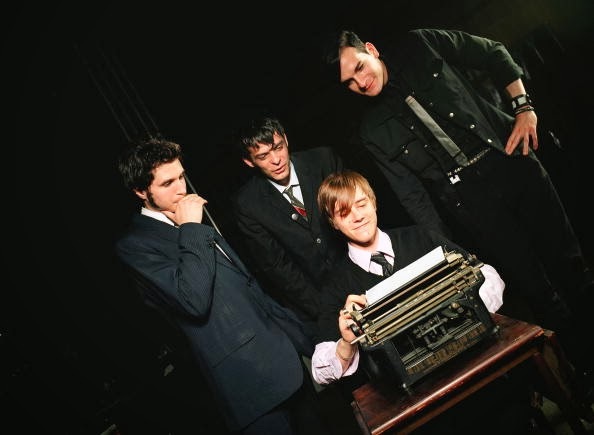 Interpol in Los Angeles in October 2002, from left, Daniel Kessler, Sam Fogarino, Paul Banks (at an Underwood?) and Carlos Dengler. 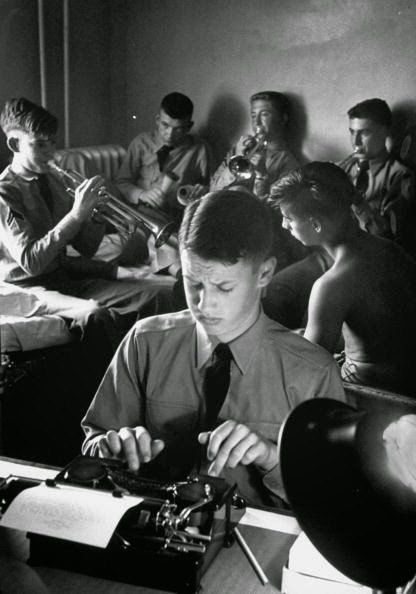 Staunton Military Academy, 1954. 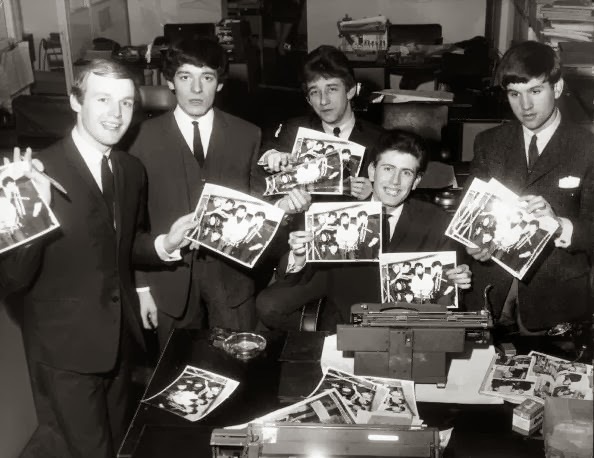 He wouldn't be able to type if it was the Dave Clark Five! The last one wouldn't be Barry Goldwater by chance? He's the only fellow I can think of graduating from S.M.A. about that time. I remember the Honeycombs. One-hit wonders here in the USA. I was just a kid then, but I did play many of those old songs as oldies when I was in radio. I remember the Dave Clark Five and the day the Beatles arrived here. 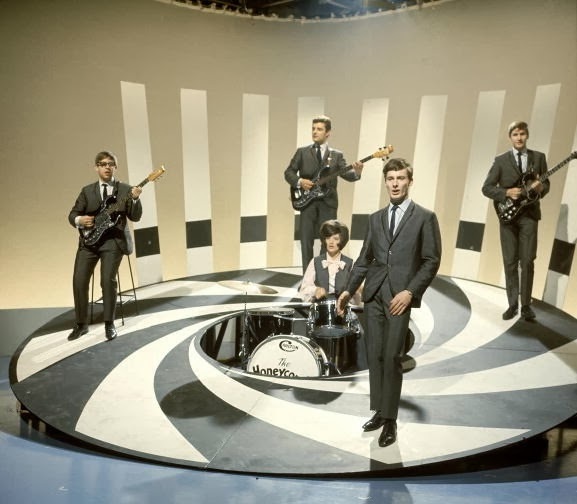 Fun time 60s -- a bit before my time. I need to put the movie on my moives I want to see list. Well, this was a very entertaining train of thought! 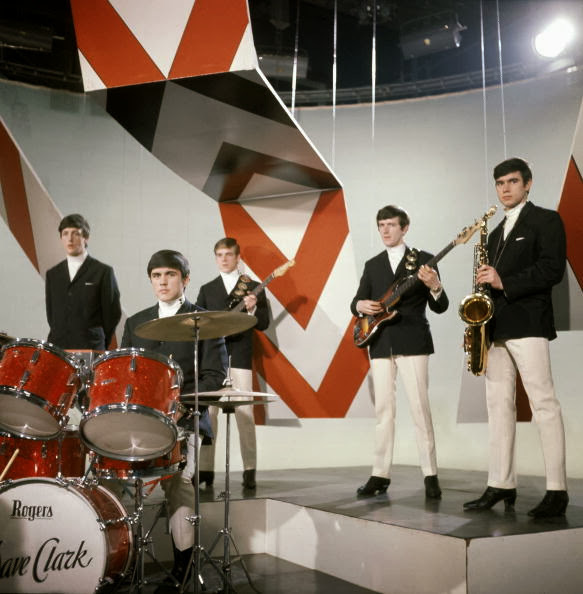 You've enlightened me about '60s music and much else. Glad to hear that the new Hanx movie is a winner. I think Messenger and Vyalitsyna (both suitably attired) would make a fabulous pair. I recently got a Golden Shield myself. It should be featured on my blog soon. I do like the huge variety of (thought provoking) photos and the stream of consciousness of sorts of this post!